You can carve pumpkins, or you can just park these out front. We admit the words "craigslist" and "custom" can usually inspire more terror in car enthusiasts than any garden variety haunted house. 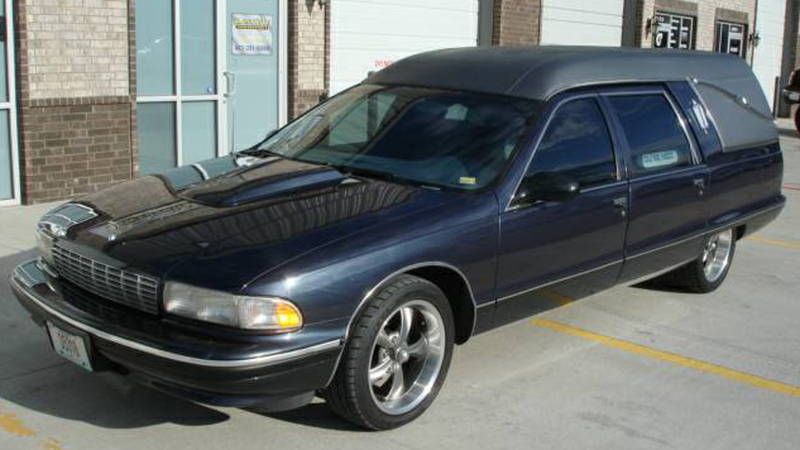 But honestly, we don't see how your Halloween display this year will be complete without this 1996 Chevrolet Caprice hearse and its payload: A custom-built, twin-engined coffin go-kart. 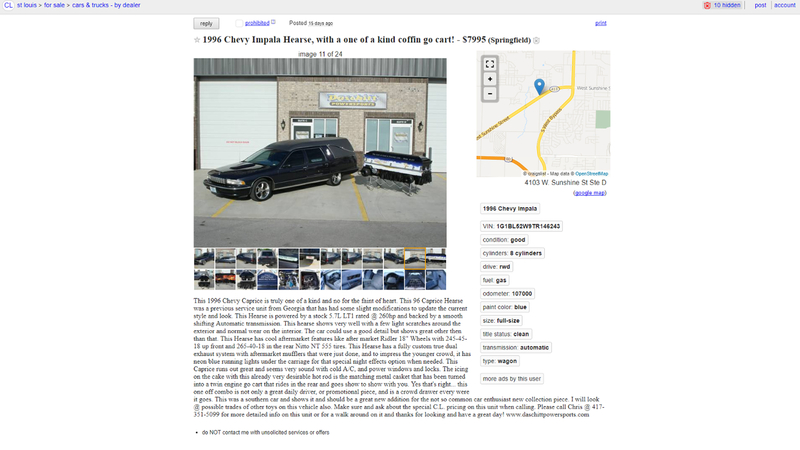 Going for a hair under $8,000 on the ol' craigslist in Springfield, Missouri (screenshot at bottom), this might be the coolest coffin-carrier we've seen this side of Harold and Maude. The seller claims the rust-free wagon was used as a real hearse down in Georgia in a past life and remains in great shape, with the 260-horsepower, Corvette-sourced LT1 engine still pumping strong. 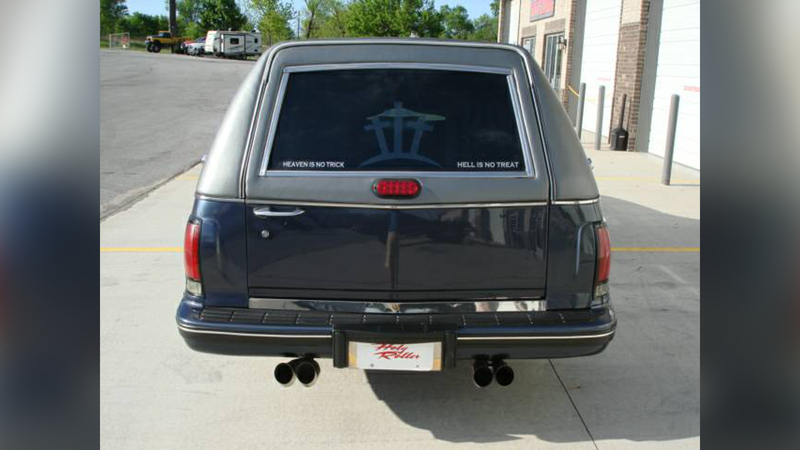 The hearse rides on a set of aftermarket Ridler wheels and a nice set of Nitto tires. A custom dual exhaust system and quad pipes round out the rebirth. Of course, people have been having their ghoulish fun with used hearses for ages. We're really here for the coffin kart. 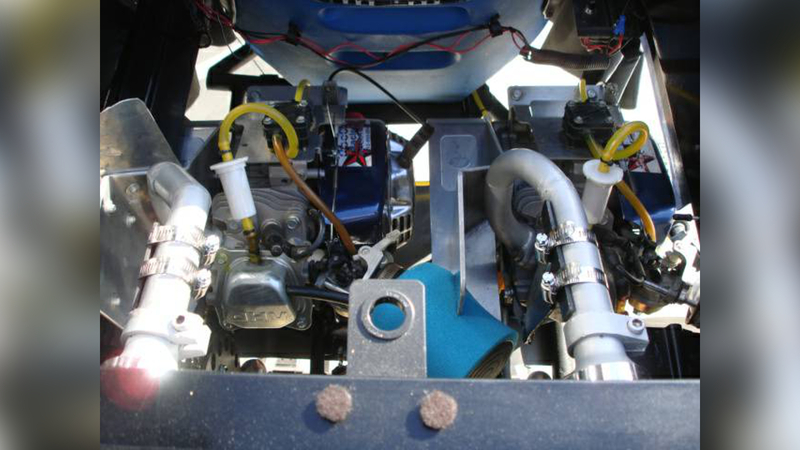 The seller provides frustratingly few details on its construction or performance, but it looks professionally done in the pictures and the bumpers and very-real engines seem to indicate it does actually drive. 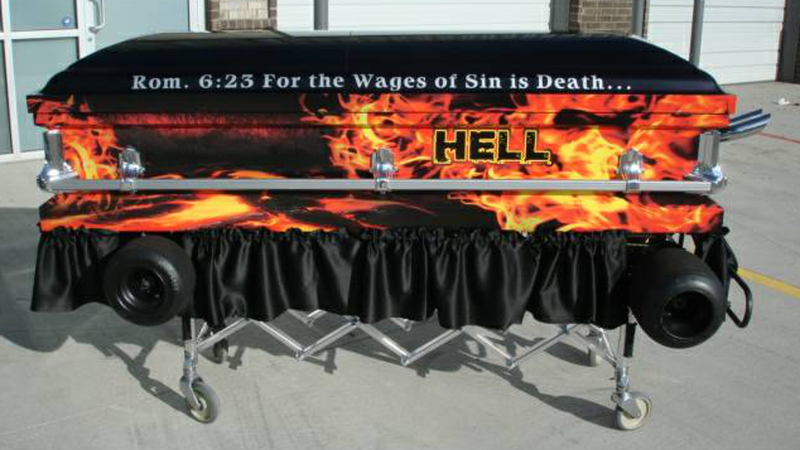 We're not totally on board with the two-sided Heaven/Hell motif, though a respray should be a cinch thanks to the casket's metal construction. 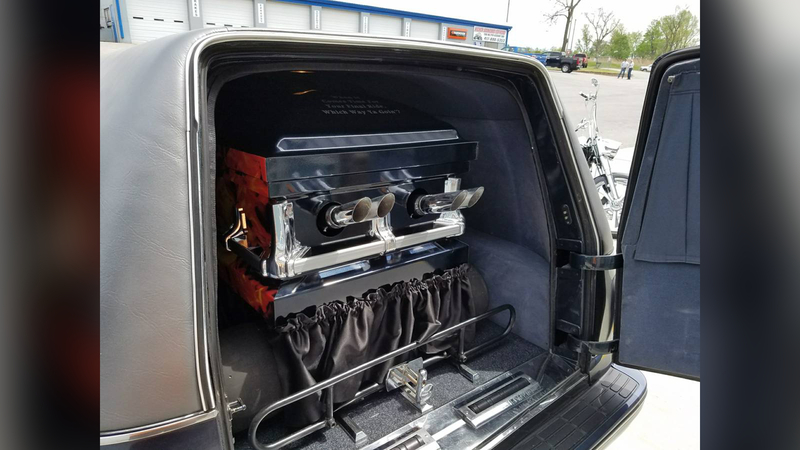 The seller notes the Caprice hearse makes a great daily driver and is a "crowd drawer" at car shows and stoplights alike. 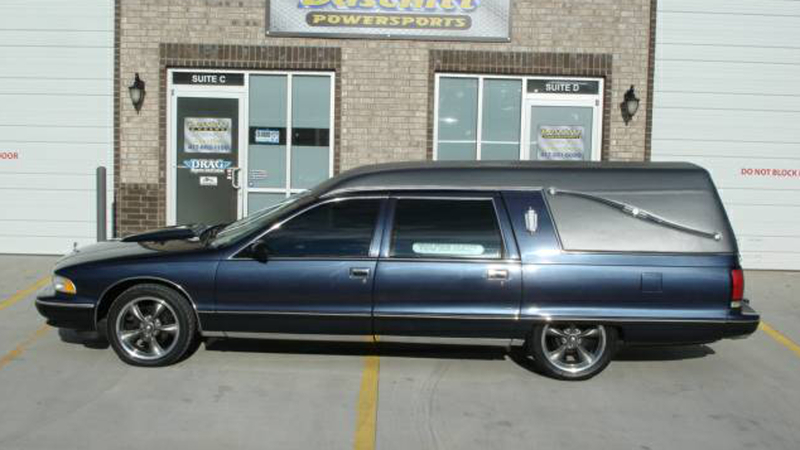 But I don't want to drive a hearse, you say. Fair. 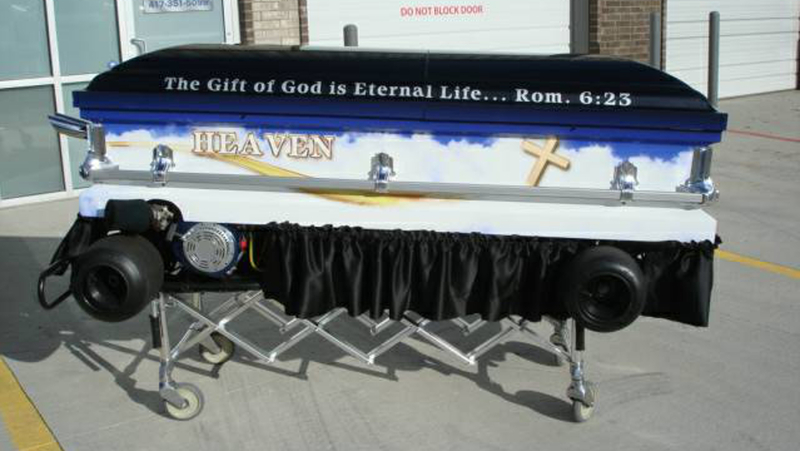 But you can't say with any honesty that you don't want to take a crack at that coffin kart—or frankly, be buried in it. Hard to think of a better ride for a trip to the great beyond. 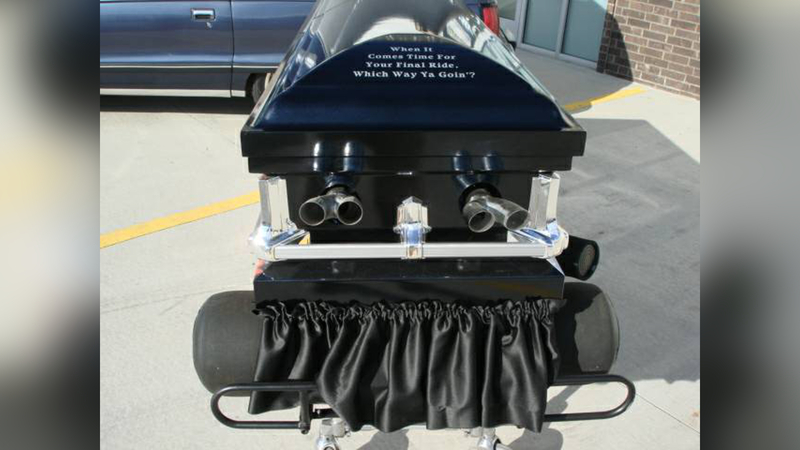 After not being able to find a ride home, the Texan stole the hearse and its occupant was left in a ditch. The vehicle could fetch $328,000 when it goes under the hammer in September. It took more than 10,000 hours to build this 1960 Cadillac Fleetwood. Totally worth it. Black, beautiful and goddamn ominous. There's no reason your final ride can't be eco-friendly.